1 of 1 In a small pot, combine 1 cup whole milk and 1 peppermint tea bag. Bring to a low simmer. Cover and steep for 3 minutes, then remove tea bag. Whisk in 2 oz. white chocolate, chopped, until melted. 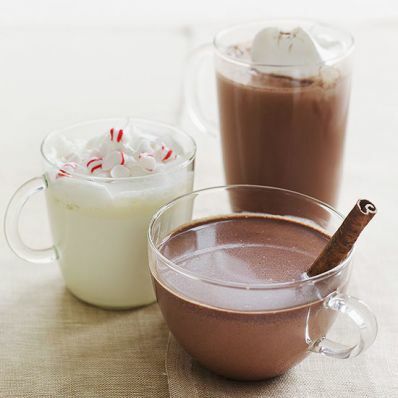 Pour into mug and top with whipped cream or marshmallows and crushed peppermint candies. For an impressive presentation, moisten rim of empty mug with water, then roll in finely crushed peppermint candies.